I had a serious craving for Buffalo-anything today. I also happen to have received an air fryer for Christmas so, those of you who have them know, I’m now obsessed with air frying all the things! Add to that the fact that I still had a half bottle of vegan bleu cheese dressing in the fridge. This was clearly meant to happen today. I mean, it was all too easy not to try! And man! They were good! 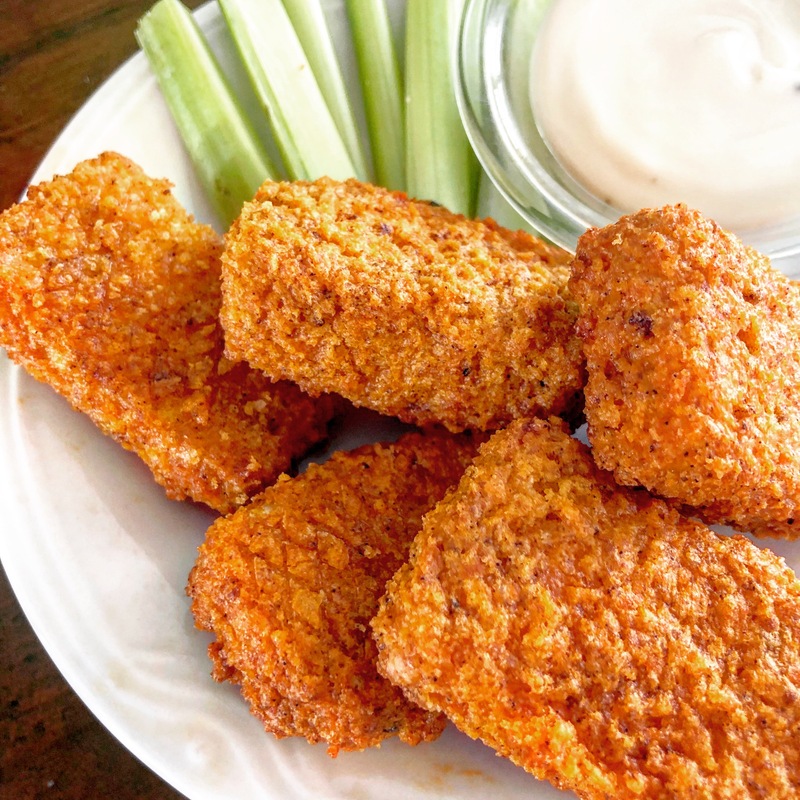 I’m thinking of serving them again for the Super Bowl but instead of strips, cutting them into bite size pieces so you get that spicy crispiness all around! Slice tofu into six pieces, length-wise. Then slice vertically and again horizontally so that you have 12 pieces. To a small bowl, add the arrowroot powder. To a second small bowl, add the almond milk. To a third bowl of medium size, add Panko breadcrumbs, olive oil, paprika, sea salt, and black pepper. One at a time, dredge each piece first through the arrowroot flour, then the milk, and finally into the breadcrumb mixture, coating well on each step. Set air fryer to 350 degrees F. Add tofu in an even layer. Air fry 8 minutes. 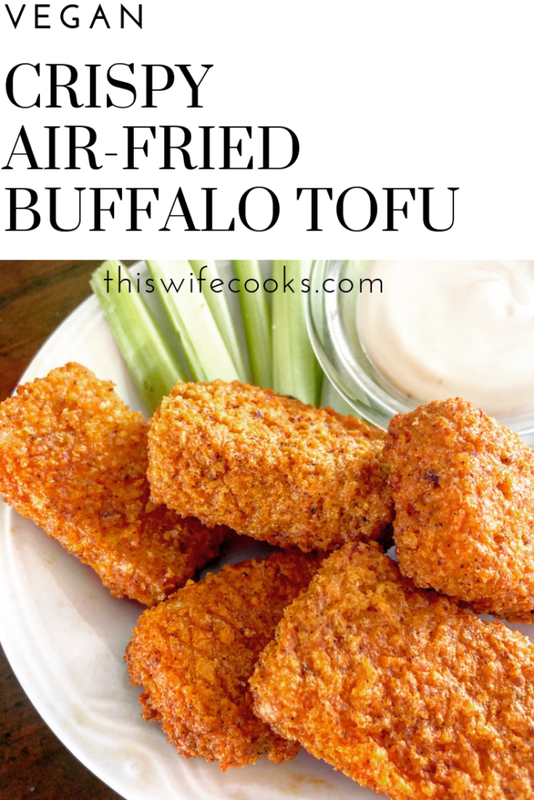 Remove tofu and toss with Buffalo sauce until evenly coated. Place back in the air fryer in an even layer. Continue cooking another 5 minutes, or until desired crispiness is achieved.